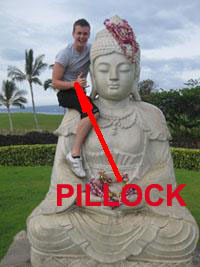 Ever wondered what the white string is round a Buddhists wrist? Go to a Temple at 3 in the afternoon and ask for a monk to perform the sai sin ritual. 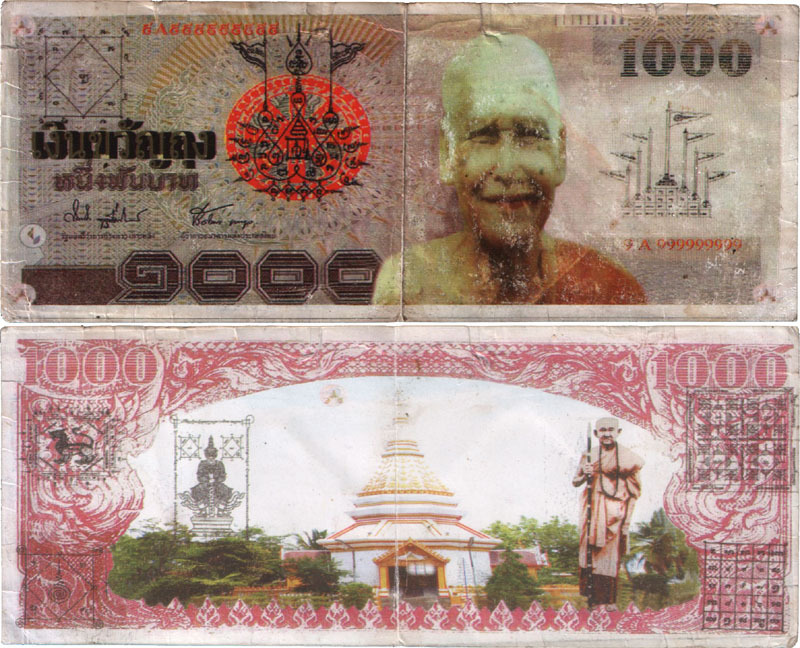 Put one or two hundred Baht in the box next to the monk as a thank you and remember to take your shoes off before entering..
Where are the best temples? William Singleton, an Internet lay preacher writes that Siddharta Gautama (the first, and considered founder, Buddha) prophisied Christ on his death bed saying "He is the Lord of Mercies, His name shall be called the King of Kings, the Lord of Lords. He is all knowing, all wise. He knows all that is in the human heart. He is Lord of all the angels and of all humans. No one is greater than He. (Sutrapridot 3:107)"
This is somewhat coarsely described by Buddhanet as 'the Christian lie' because the scripture does not exist. Siddharta died around 480 years before Christ was born and was not a prophet, he was a teacher, the son of King Suddhodana in northern India who went on a quest to find enlightenment, in search of truth. He was an athiest and raised in Hinduism and knew nothing about God. Neither are the Sutrapridot scrolls some kind of scripture from God. 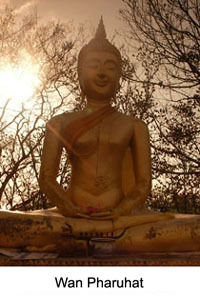 They are the thoughts and teachings of Siddha written down by Monks who followed him. They are the words of a man. Bret Moss presents a website called 'ten biggest myths' about Buddhism, but his 'myths' are his own invention. Questioning: 'Human beings have lived past lives' - and explains the concept of reincarnation. This is wrong as are the other 9 myths he presents such as 'God does not exist'. You see Bret, Buddhists do believe that we have lived before and will live again but not through reincarnation. Reincarnation means you will live again as yourself. The next life is "like the tree whose leaves die and fall yet they grow again but slightly different. Just like it is not the same leaf, we do not return as the same spirit". Reincarnation and/or resurrection is a Christian belief, not Buddhist, and in Buddhism God certainly does not exist. The Universal Prime Energy that you explain is Aristotle's explanation of a diety. It is a Greek myth. 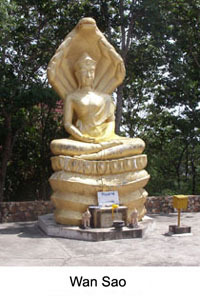 Buddhism belief is in the Earth and its spirit is Gaya. The nearest western concept would be 'Mother Nature'. 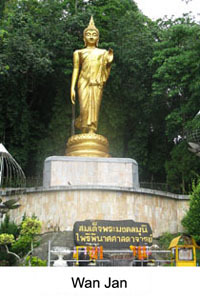 1 - Buddhism is the second largest religion. - It is not. Daniel Defoe, of Robinson Crusoe fame set the precedent for religion circa 1701, with "Religion is properly the Worship given to God, but 'tis also applied to the Worship of Idols and false Deities" Buddhism does not have a deity. 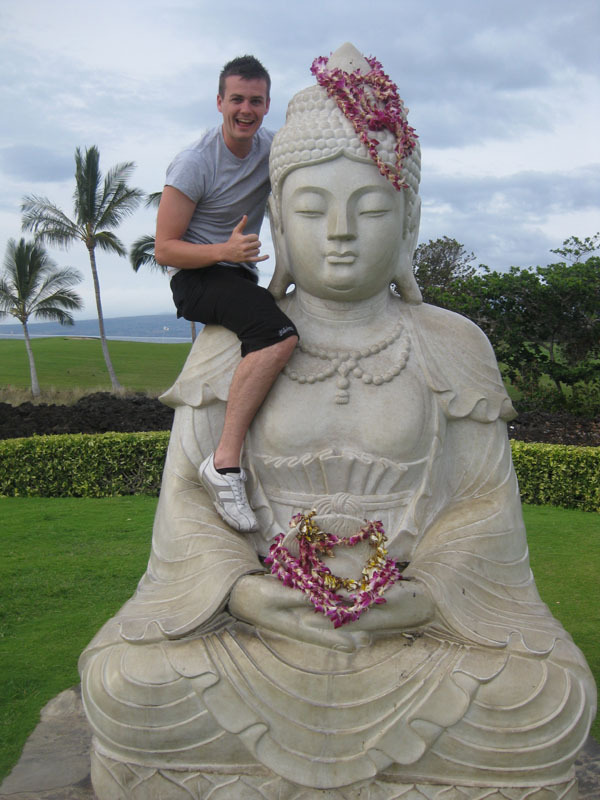 Buddha means teacher. There have been many Buddhas and none of them were a god. 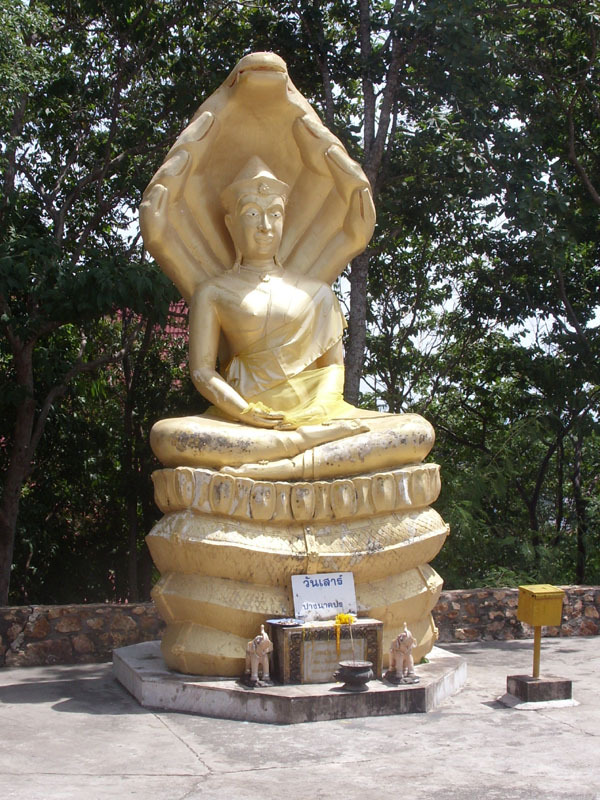 Buddhism is described by buddhanet as a philosophy, a reasoning or understanding. Siddharta said "Do not accept anything just because it accords with your scriptures." 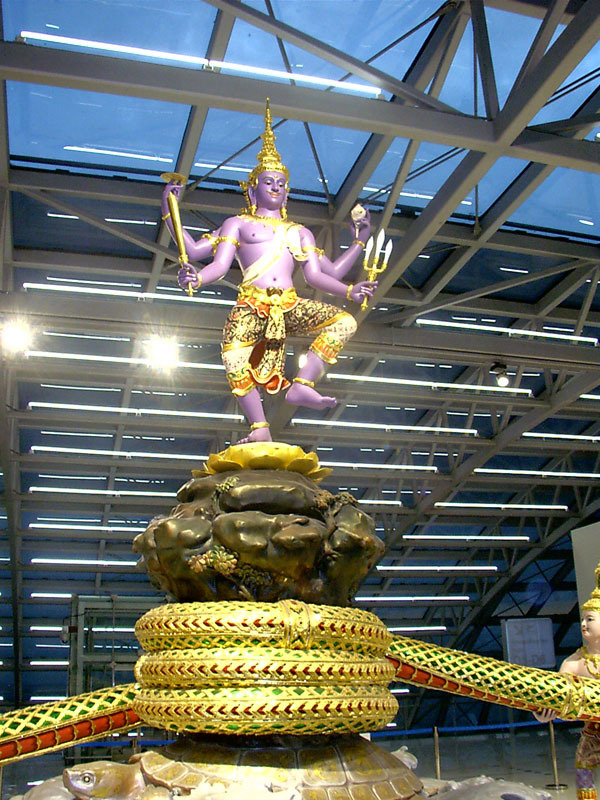 And on idolatry an understanding Buddhist "does not worship an image expecting worldly or spiritual favours, but pays his reverence to what it represents". - It would be better described as the world's biggest philosophy but to call it a religion is like saying atheism is a religion. 2 - You must not wear shorts or tee shirt in a temple. - This is not true. If you are not there to meditate or to ask for a blessing your attire is irrelevant and that goes for both men and women. 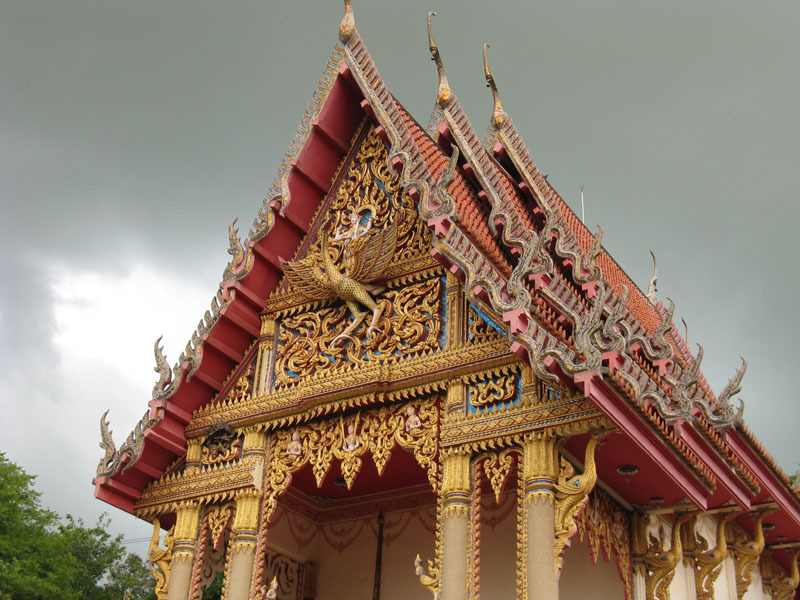 If you are visiting a temple as a tourist you are unlikely to see any monks, called Phra, and if you did you will likely not come into contact with them. But as a matter of respect, be quiet, and women should dress appropriately. I mean, you wouldn't visit the pope in a bikini would you? If a monk should speak to you and you are a woman there is only one rule, do not touch him. This isn't a Buddhist law. 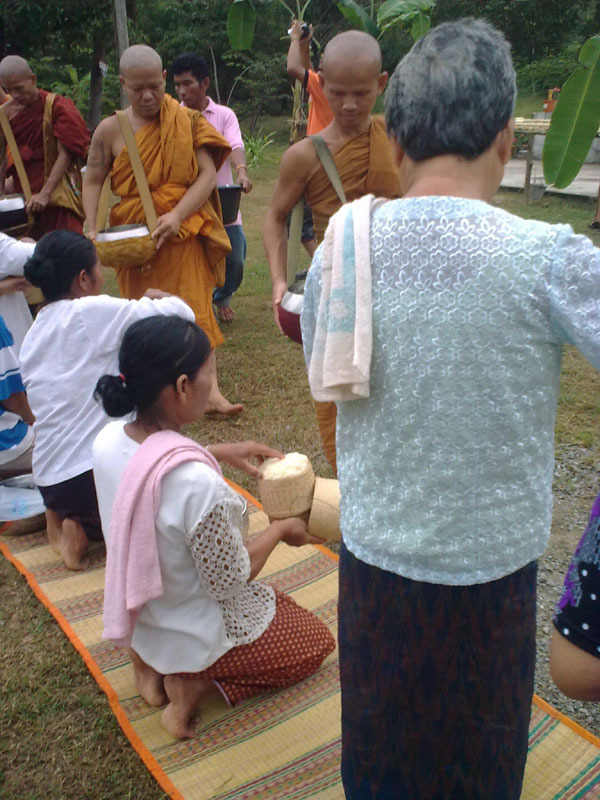 Japanese Monks marry and have families, Trappists have meditation but lead normal lives when out of the temple, but in Thailand Monks take a vow of purity, they do not think about women, alcohol, partying, nor do they have any contact with it. 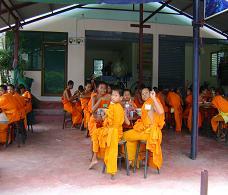 3 - Monks are ordinary men who break the law and hide behind their robes and Buddhism in Thailand is a Mafia. - The philosophy is not built in layers like Catholicism nor does it amass wealth. 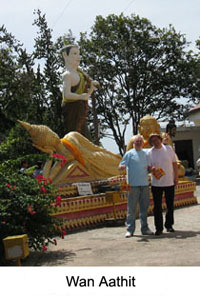 Each village has its own temple and its own area called a changwat. 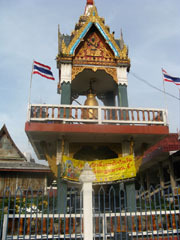 The village temple does not support the changwat. 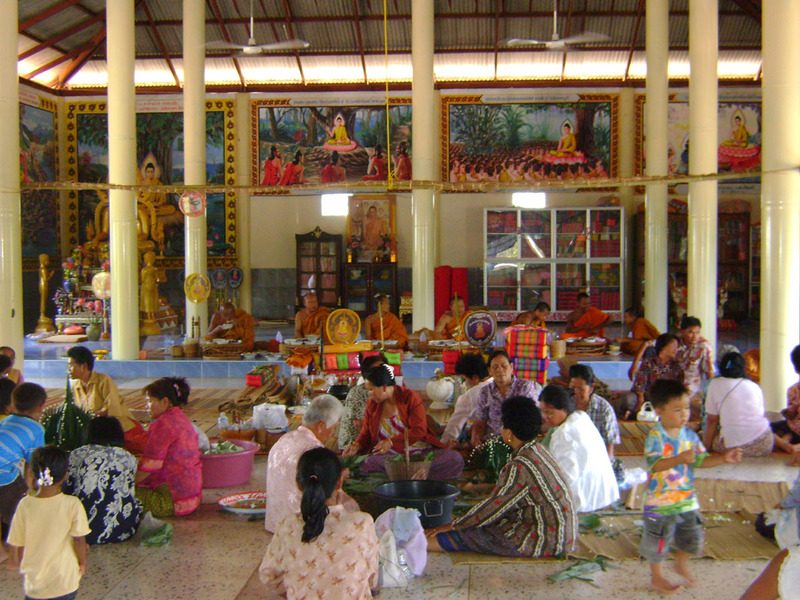 It supports the village and the changwat supports the village temples. Each changwat is independent of each other though they are overseen by the Bpra Thet Ruaam Gaa Thaat. Roughly meaning, all the heads of state share the leadership. 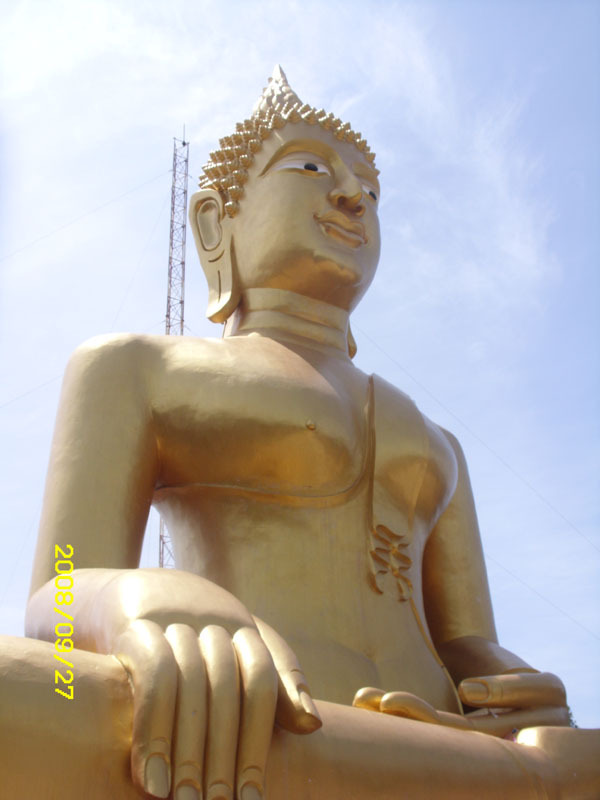 In Thailand the King is the head of all religions but he is subservient to the Buddha. 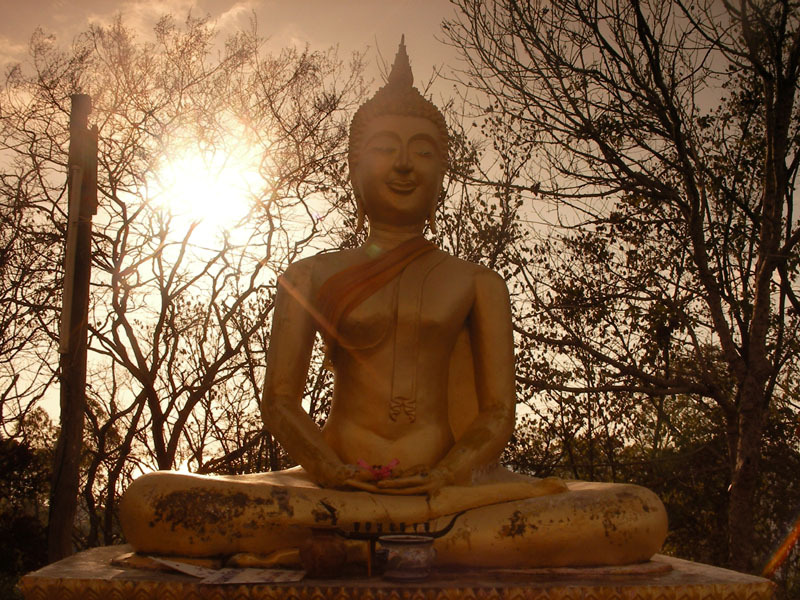 There is no Archbishop or Pope in Buddhism. It is the reverse of the common misconception. On law breaking the number of crimes committed by monks is miniscule compared to averages and of course there is the occasional exception that is usually provided as the example. 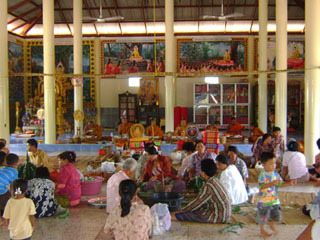 4 - Poor villagers give all they have to the temple. - There is no tithe, no collection plate. No attempt to make you feel guilty, nor threat of eternal damnation. People give what they can and rich businessmen give in large amounts. Charity in Thailand is anonymous and commonplace. If you have nothing you can go to the temple every day and be fed. Every morning at sun up a bell, called the La Kung is rung to summon the villagers and the monks walk the streets barefoot with a pot to collect food donations. This is called Bin Tabaaht and is for the monk's breakfast. They only eat once a day (called Phra Chan Khao) as a commitment to abstinence of worldly needs and a simplicity in their personal quest. In the temple they sit on a step called the Kang and visitors must sit below on the floor and cannot eat until the monk have finished. Sometimes monks will share an offering with a traveller. This is a great honour and you should accept and eat with them. Wikipedia says the Kang is derived from the Chinese Quiang, it is not, kang means a solid block eg: naam kang means ice or a solid block of water. Villagers kneel on a mat called a Suuah when they give food while my Mother-in-Law stands because she is mae yai - grandmother. 5 - Animals like birds or cows are sacred. - No animal is sacred in Buddhism and often this is confused with symbolism. Releasing four finches is a symbol of releasing the desires that prevent us from gaining enlightenment. Cows are symbolic of new born that their only need is milk. Some Buddhists do not eat meat but not because of the milk of life but because they prefer vegetarian food. A Buddhist temple is an open house. It is never locked and you are free to visit and wander around. 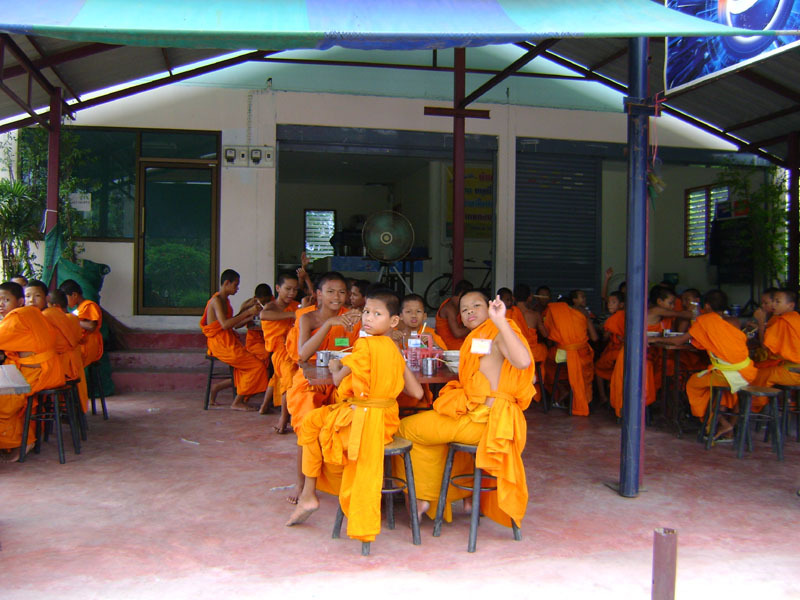 The monks live in a house called the Guut Dtee in the grounds and they never refuse a visitor. You can freely take photographs though I always ask any monk before snapping them. You can ask by saying 'khor thailuup khrap' if you are a man or 'khor thailuup ka' if you are a woman. 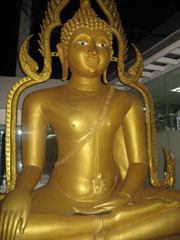 The Thai statue of Buddha is a likeness of Siddharta Guarama, the first Buddha, and Thai call him Siddha. 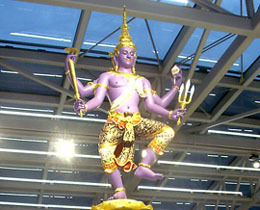 He is always mounted on a plinth and you should not stand on or climb over it and do not touch any of the toys or flower offerings. 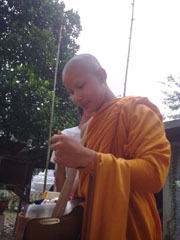 All of the monks wear an orange/yellow robe called kasaya jee waan. 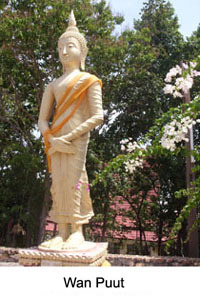 The robe and its colour is of Theravada Buddhism and derived from the instructions by Siddha on how to dress. If the monk is below the age of 18 he is a trainee and called Neein. When they are over 18 they are called Phra and when they have attained supreme enlightenment they are called Pa. A Buddha has achieved absolute enlightenment. 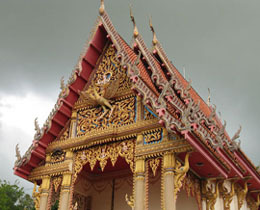 The temples are often guarded by various statues of Jak, or Yak, the supreme warrior to fight off evil spirits or by Jai Ann, a small and very quick soldier. Some are Chinese Lions called Sing Dto or serpent like dragons called Phaya Nak. 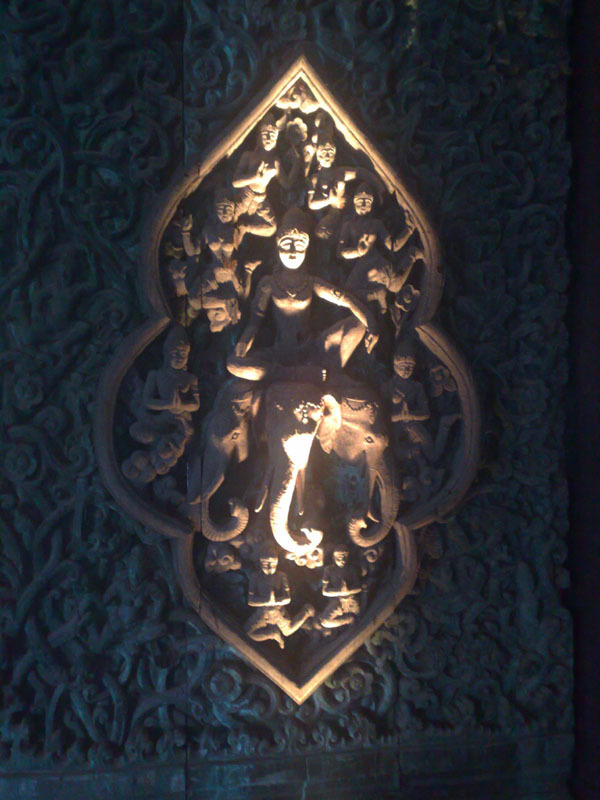 Phaya Nak come in various guises but mostly with seven heads representing one for each of the Buddhas. 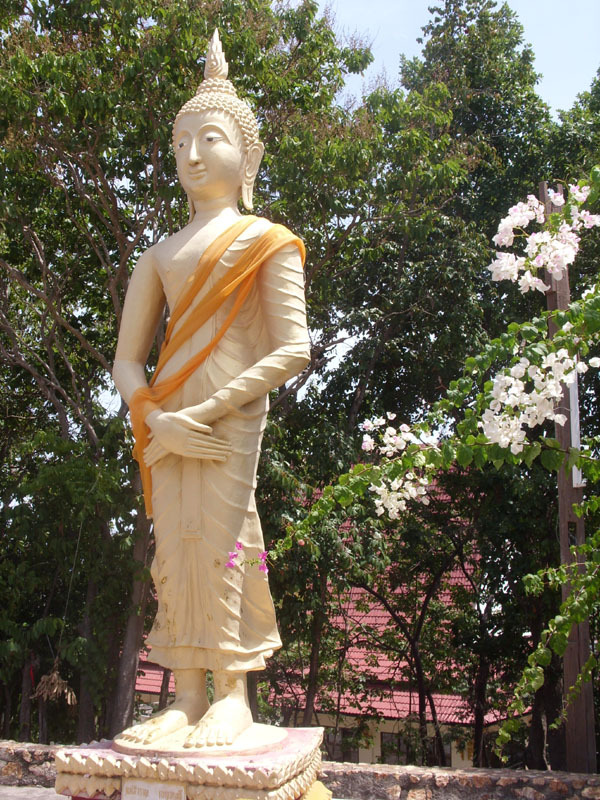 The Theravada Buddhas are the days of the week and the importance is on which day you were born. Buddhists do not celebrate their birthday but they know on which day they belong and which year. My Buddha is Monday, or Wanjan, and I was born in the year of the dog in 2501. 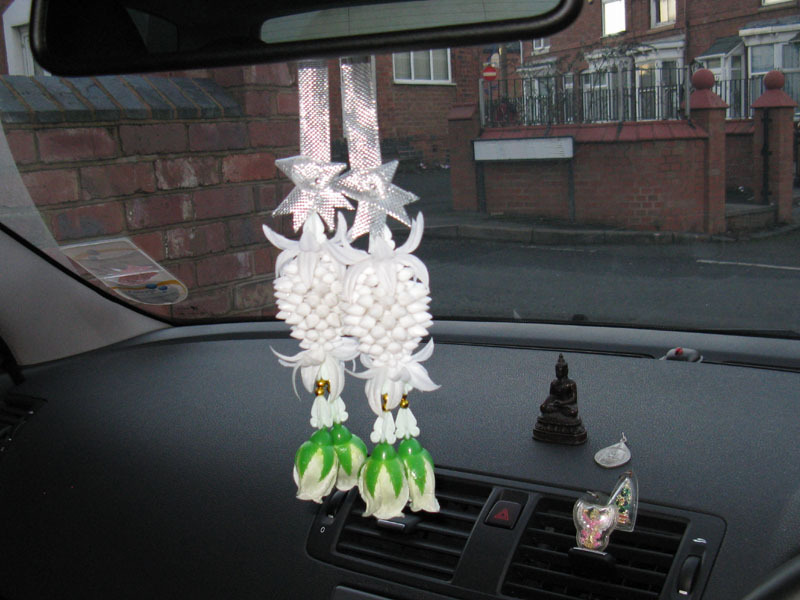 To work out your birthday go to dayofbirth.co.uk and to work out what year add 543 to your year of birth. 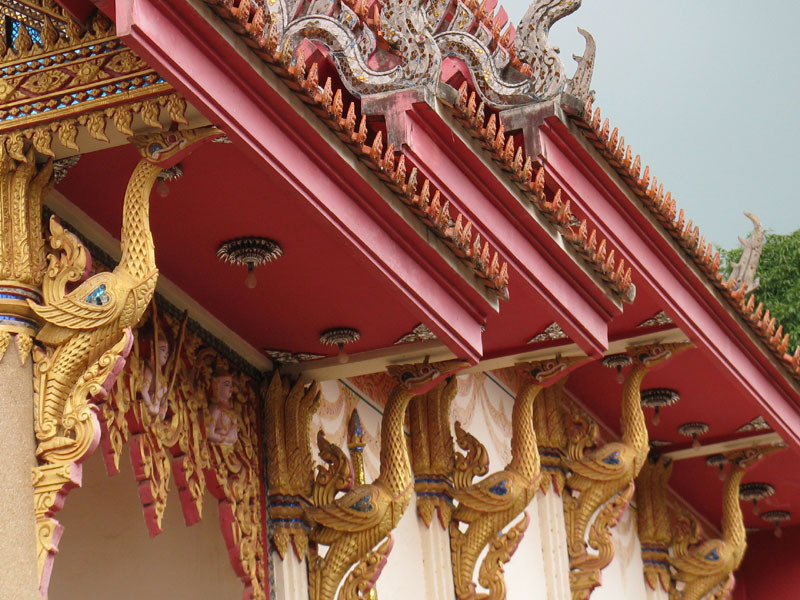 Temples are set in colours of importance as gold, see thaawng, emerald, see kaew, white, see khao, yellow, see luuang and red, see daeng. 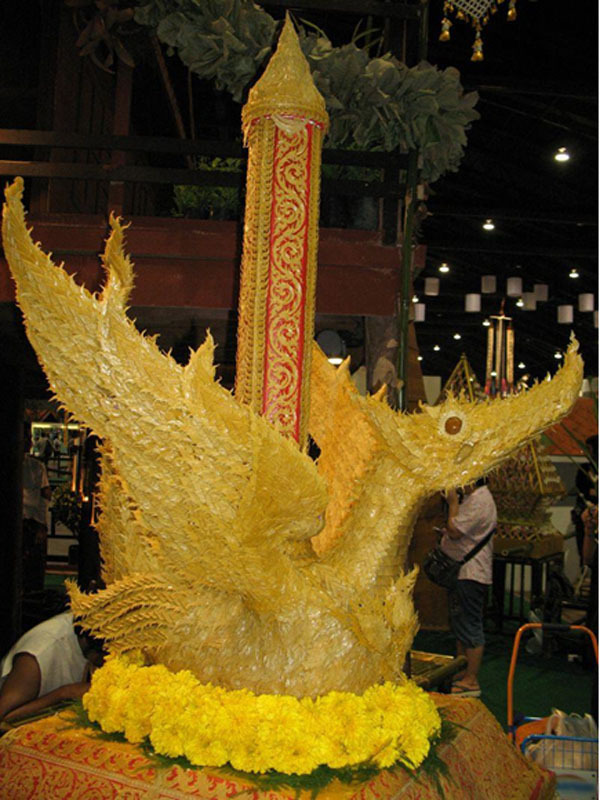 They are also adorned with fictional creatures like the half bird half girl Kinaree and the Phoenix like Thiang Nah rising from the fire. 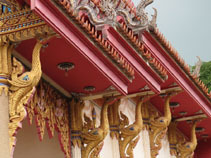 Roof fascias have various patterns of filigree with more creatures like the Nok Haawng, a Royal emblem or the Khluut, which is the National Emblem of Thailand. 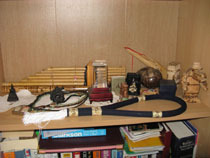 The fascia boards vary greatly but all of them have the finial like the Kinnaree tail or kinnaree haang. 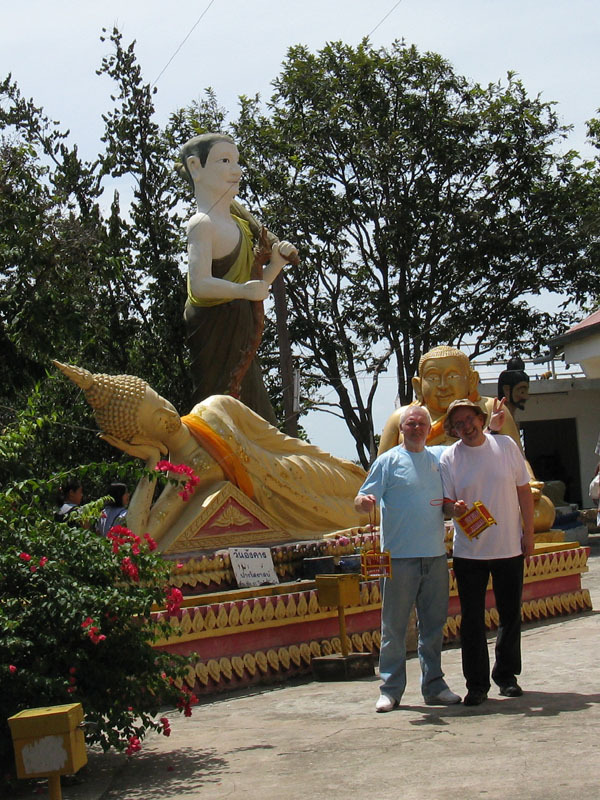 When you visit a temple you can ask for a blessing or khaw phawn. There is a small ritual of chanting and he will tie a string with a symbolic knot around your right wrist (women can be either wrist). You should not attempt to help tie the knot. Monks are adept at doing it without touching you. 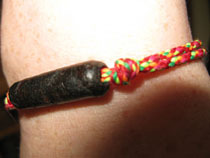 The string is called sai sin regardless of the type given to you and sometimes the monk will give you something he has made himself. Thais believe this will bring you great luck but it is not a talisman nor does it possess secret powers, it is a gift from someone revered by Thais. 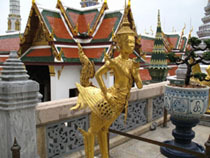 Buddha, an Emerald Buddha for the King, and a Kluut - the symbol of Thailand, which is a mythical Hindu bird called the Garuda. 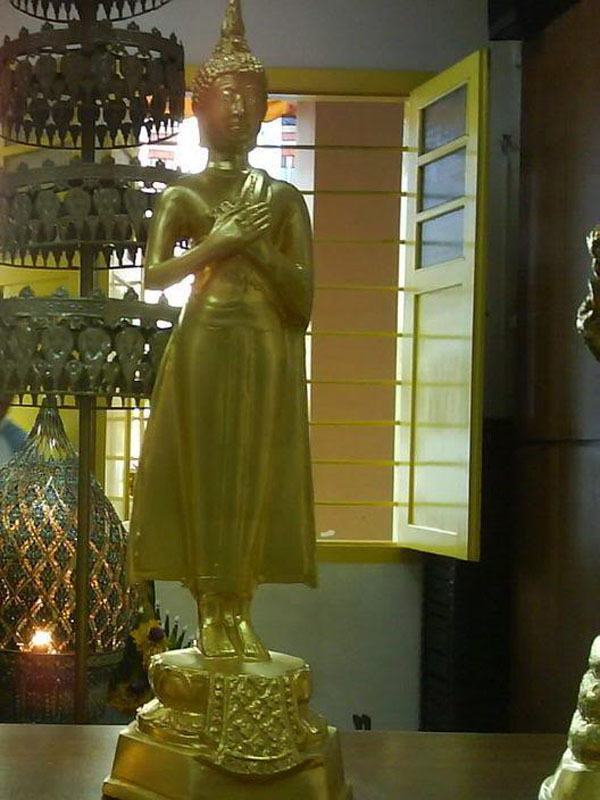 Nun Kwan Dtung is held between the palms when meditating in front of Buddha. 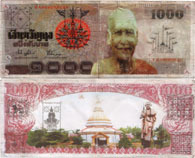 Often this is mistaken for praying for money but the symbolism is offering money to Buddha as a gift, a donation to help with his journey to enlightenment. 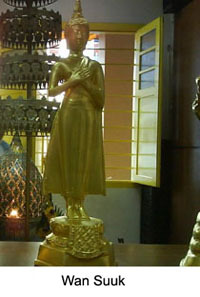 Tables or a shelf set high with a statue of Buddha will be surrounded with gifts that make Buddha happy. Often they will be toys or food and drink. 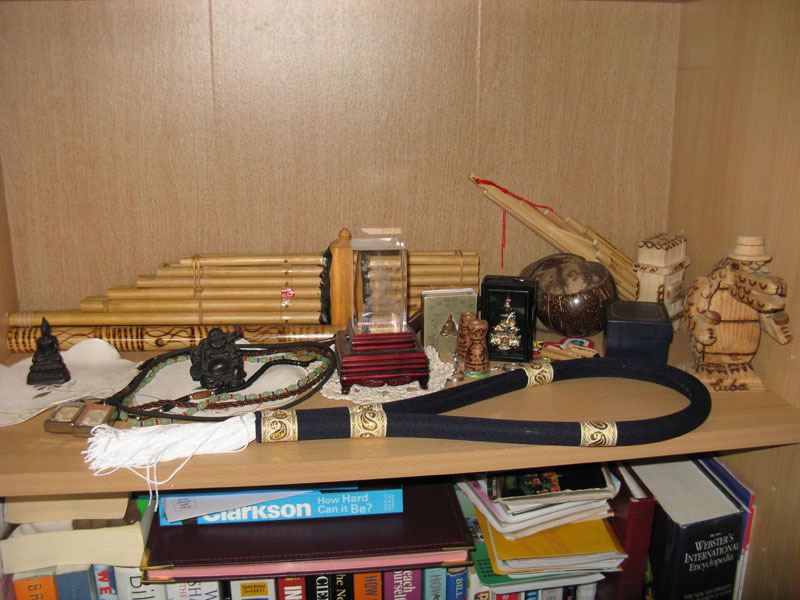 Toys remind Buddha of children and children understand the meaning of pleasure while being pure of mind. The food is a symbol of sharing what we have and we cannot eat what is offered until the sun goes down. Please do not touch these offerings as that would destroy their purity. It belongs to someone. It only means something to them; it is theirs. Tourists tend to go to ancient temple ruins, Wat boran or saak salak hak phang, and they are interesting but you will appreciate them much more if you see current temples as well. Talk to the monk and ask questions. 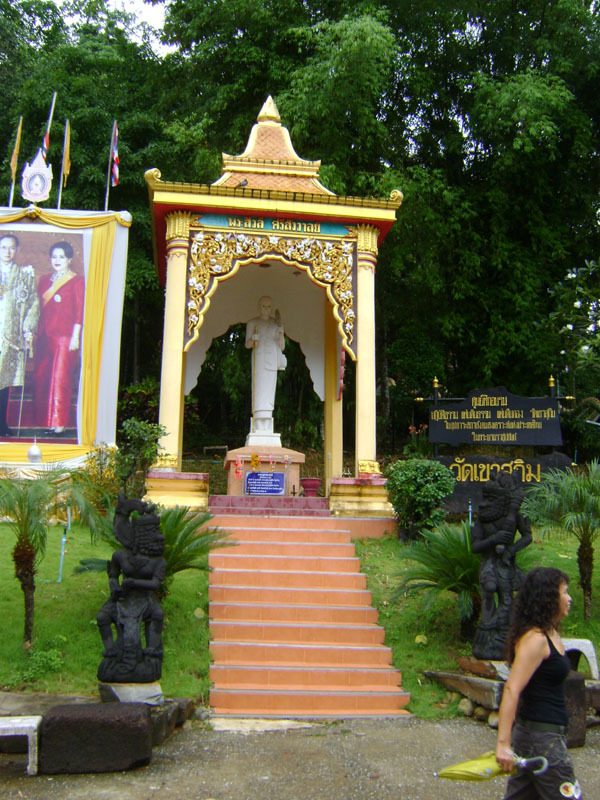 If you are in a village you may have to ask if anyone can speak English 'Khun phut parsar Angrit mai khrap'. If it's a group of monk you can ask 'Tham Phra dai dai phut parsar Angrit chai mee khrap' or 'ka' if you are a woman. You can look up these phrases or print out phonemic translations from Thai Phrases. 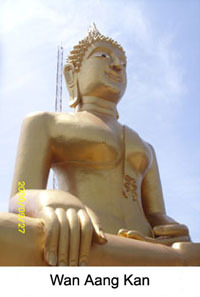 Most tourists choose to visit Ayutthaya which is ok though I never personally felt any closeness or affinity with Buddha. 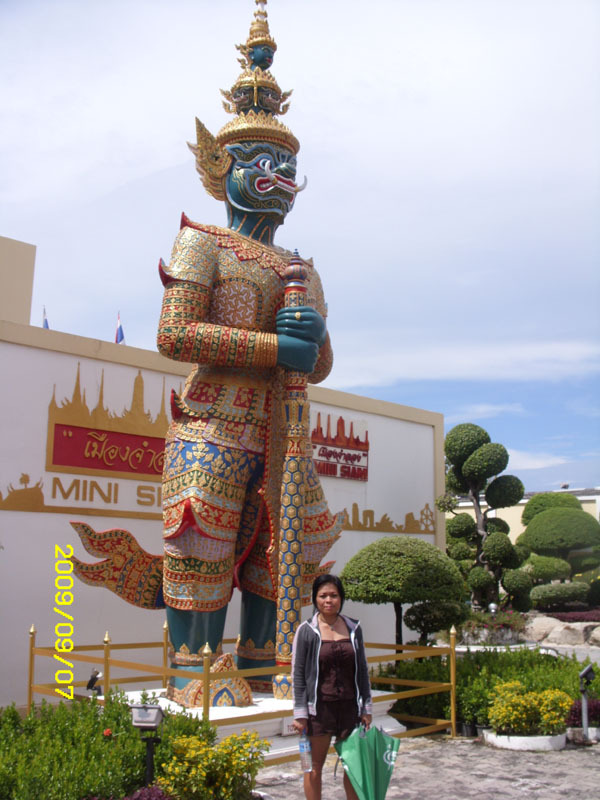 I wasn't disappointed but neither did it give me the same feeling I get when I go to my own temple or the Chinese temple in Pattaya. I like Wat Prasat Sadok Kok Thom in Kok Soong or Angkor Wat in Siem Reap, Cambodia for historical ruins but it is each to their own. Wherever you are, go to the nearest temple or ruins before travelling to specifically see what has sadly become a tourist attraction since being listed as a World Heritage Site. 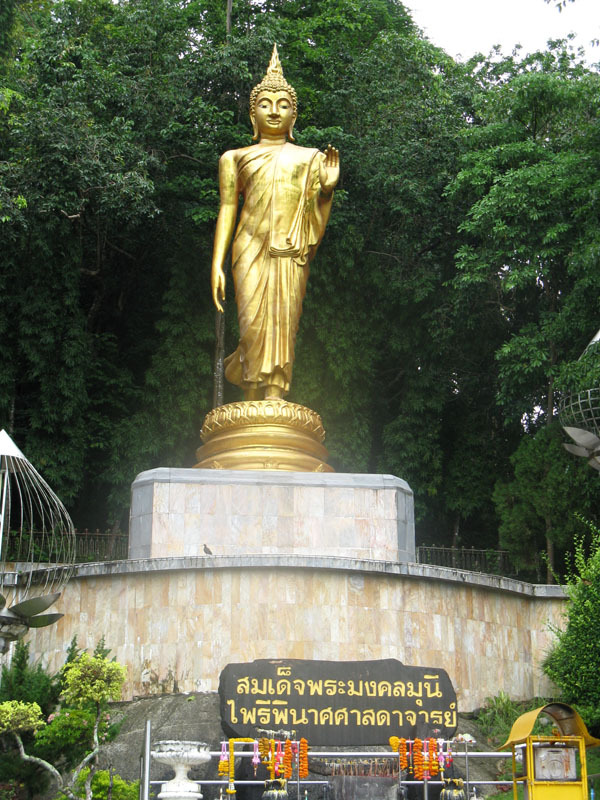 From Wat Pa in the north to Wat Khao Sukim in the south they are a manifestation of someone's dreams and the result of a few people's magnanimous determination. Understated and under-appreciated they are temples to architecture and a unique art form with a variety that seemingly never repeats itself. 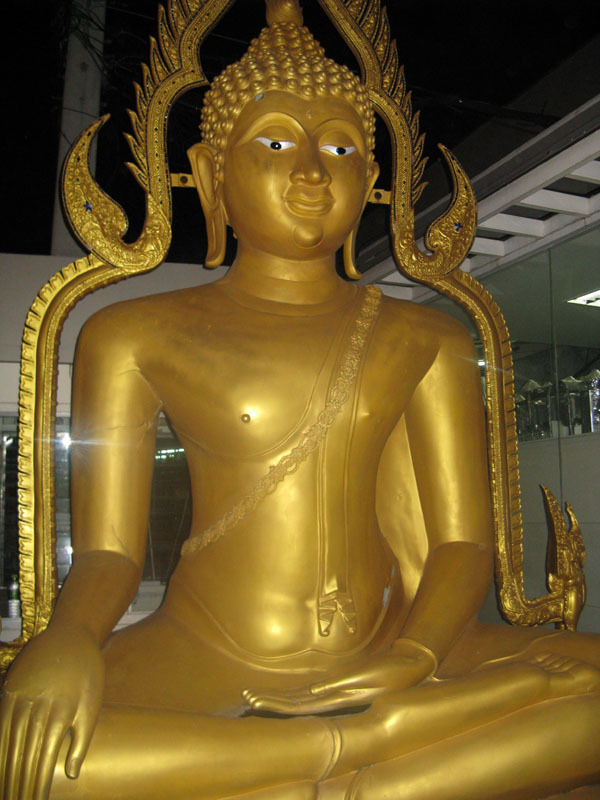 Recently I saw the Hungarian Muay Thai team on the plane and I asked where they had been and despite Buddhism being intrinsically intertwined with Muay Thai they hadn't been to a temple. This seems to be the norm'. 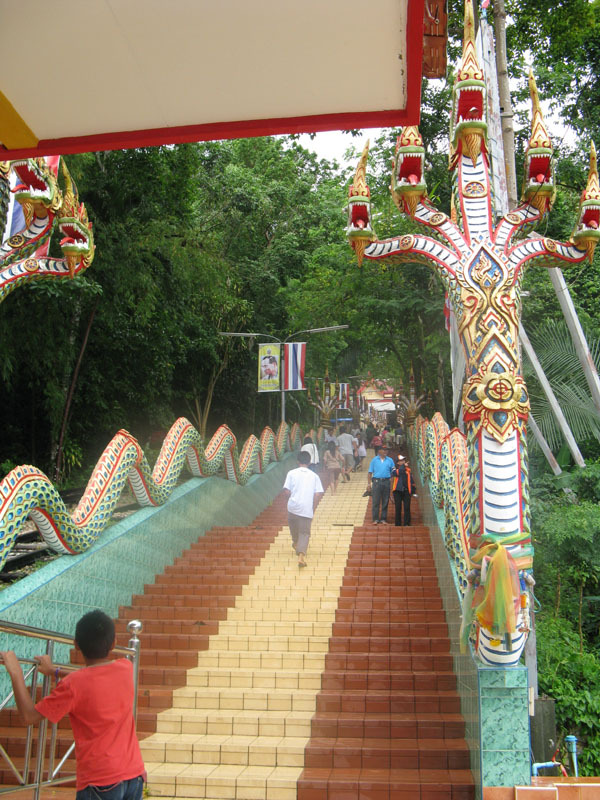 And I suspect because the temples appear to be for Thai and Buddhists they look unwelcoming. But nothing could be more wrong. They are sanctuaries for peace and meditation, but they are also to be admired, and everyone in the temple likes having a farang visitor. 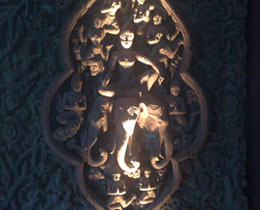 So when you are in Thailand next, go to the temple, and take your camera with you. If I sound irritable explaining some of the order of Buddhism I really am not. I want any who want to understand to ignore those who pretend to understand and to shake off the shackles of traditional religious doctrine. If you only want to see the temples that is OK. 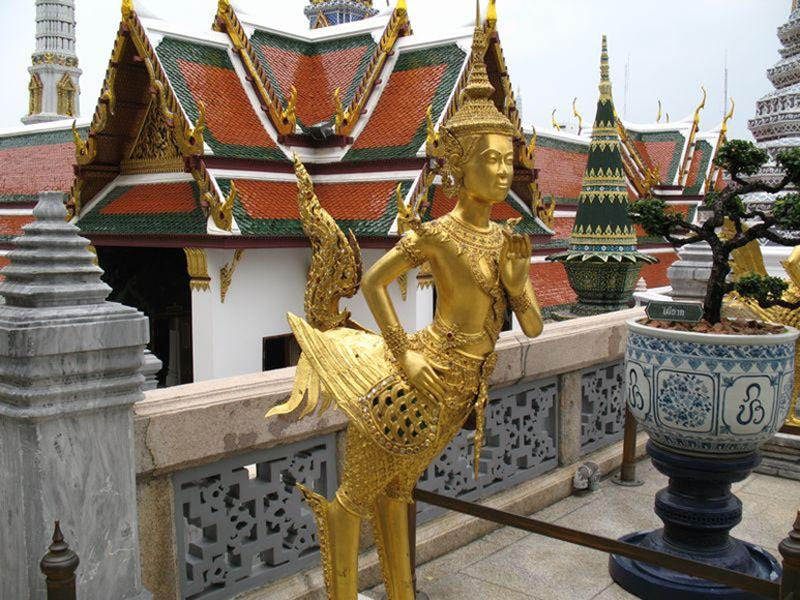 They are fine examples of architecture from all over SEA and you would be welcomed in every Wat by every Phra. If you want to understand what 'enlightenment' is, even when it is unachievable, you must first unburden yourself with what is not true. You only believe what is not true because you fear the truth. Do not listen to the preachers, open your mind, learn the truth.